Every week can be National Sandwich Week as far as I am concerned! 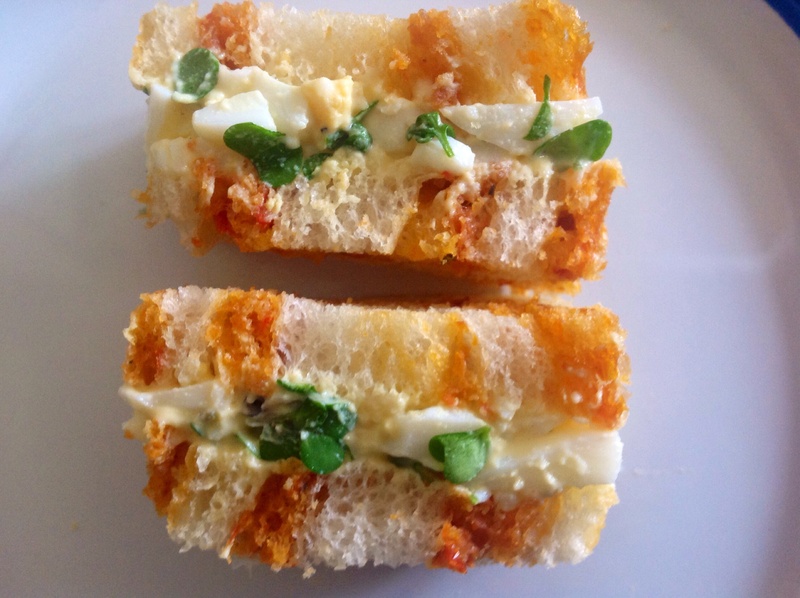 I adore sandwiches and can happily fill up on these any day of the week: for me, the sandwiches are one of the highlights of any Afternoon Tea. 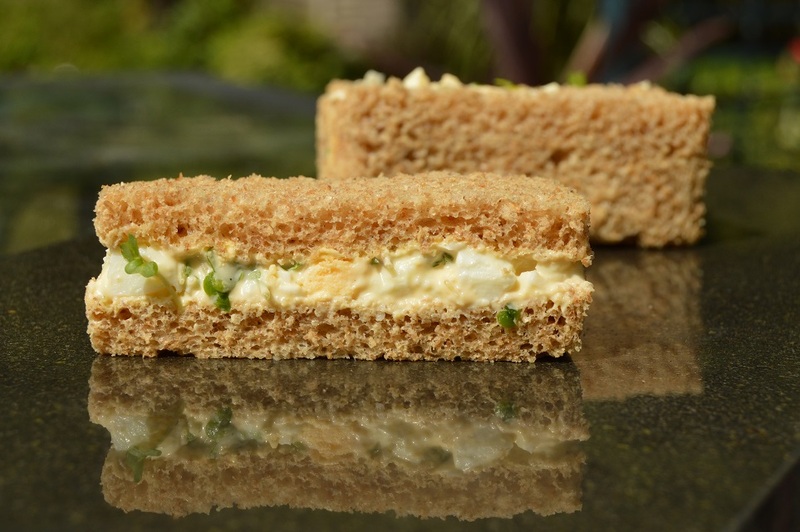 Call me fussy, but I often prefer my sandwiches without crusts, especially whenever I am preparing an Afternoon Tea. You don’t need to worry about waste from the crusts, as you can freeze them for later: blitzed in a food processor and fried off with olive oil, onions, garlic and fresh herbs, the breadcrumbs make an excellent topping for savoury dishes such as fish pie, or sprinkled over a casserole as it goes to the table. I like to ring the changes with the breads and while I will sometimes use home-made bread for sandwiches, I often buy good quality breads to house the fillings: quite simply, when making a large batch of sandwiches, it is easier to use good bought bread so I can focus on the fillings! White bread, seeded, wholemeal, rye breads, sourdough and flavoured breads such as sun-dried tomato, onion or herbed can elevate the humble sandwich into sometime even nicer. 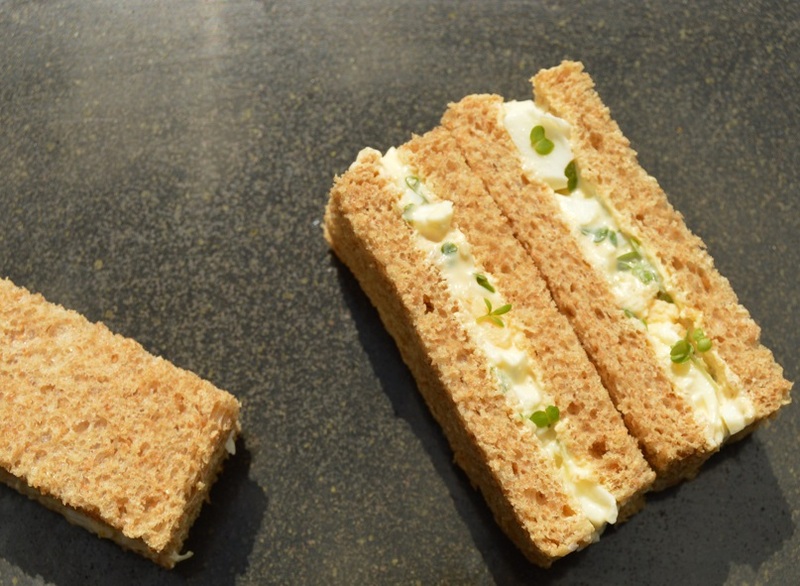 When I am preparing Afternoon Tea I aim for no more than 3 or 4 different types of sandwiches, but always ensure there is plenty for seconds or thirds! – cheese and chutney: a good firm cheese, thinly sliced, with a chutney of choice. Or use grated cheese mixed with some finely chopped spring onions and just a little mayonnaise, yoghurt or salad cream to bind. I love serving this in an onion bread. 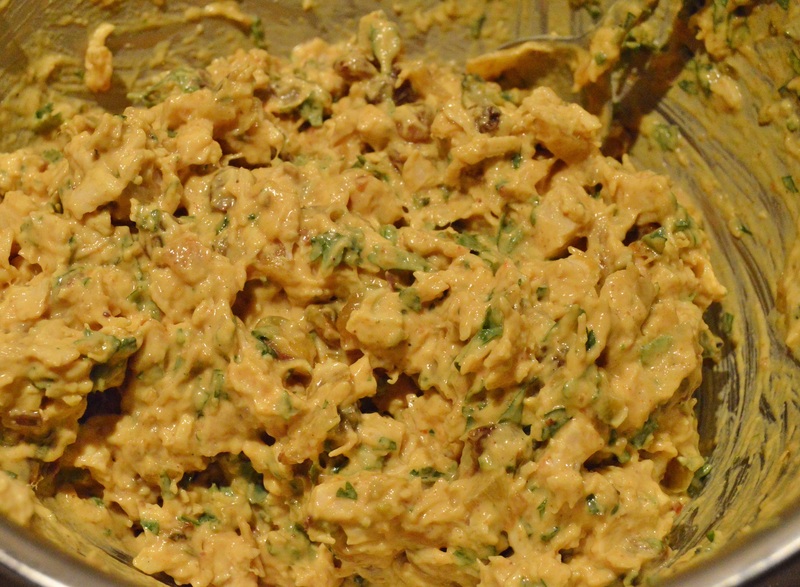 – coronation chicken: poach chicken breasts gently in stock or water before cooling them, chopping and mixing with the sauce. For a simple sauce mix together mayonnaise with a little cooked-out and cooled curry paste (or add some curry powder to a little water and simmer for a few minutes). A spritz of lime juice, some finely chopped mango, chopped sultanas and flaked almonds are all great additions. This identical filling is perfect for vol-au-vents and the like. – cucumber and cream cheese: very thinly sliced cucumber, unpeeled, a little seasoned cream cheese and a good white bread, thinly sliced. Simplicity personified! 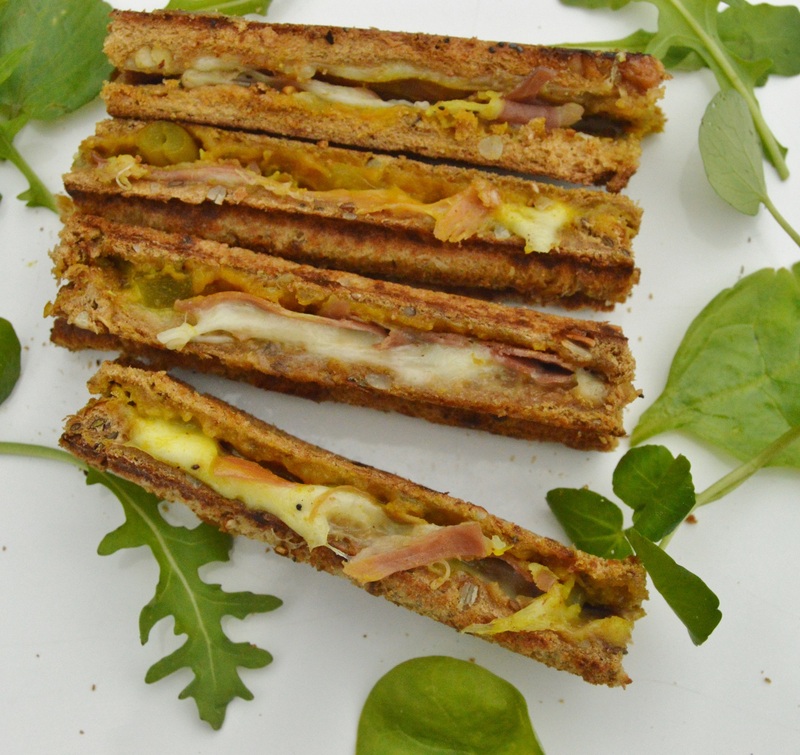 – ham, cheese, mustard and rocket: mix butter with some English mustard to spread over the bread, and use good quality off-the-bone ham or Parma ham, cheese of choice (Fontina is wonderful) and some rocket leaves. This particular salad is also exceptional toasted. – roast beef with horseradish sauce: brilliant with rare to medium-rare beef and the gutsy taste of horseradish and black pepper. The horseradish is best tempered by mixing it with a little crème fraîche. – smoked salmon with dill butter: I love smoked salmon sandwiches served between or brioche sliced. Simply mix fresh dill and softened unsalted butter together, season and spread generously. I sometimes put just a little dill mayonnaise in there, too. The contrast of the slightly sweet bread and salty salmon is heavenly! – poached salmon with shrimp & caper butter: lightly poached and crushed well (almost to a paste) with a little mayonnaise that is just enough to bind. This is excellent with bread that has been spread with shrimp butter (which is just puréed brown shrimps and a few capers mixed with unsalted butter, seasoning). I sometimes like to add a little smoked salmon in there too. 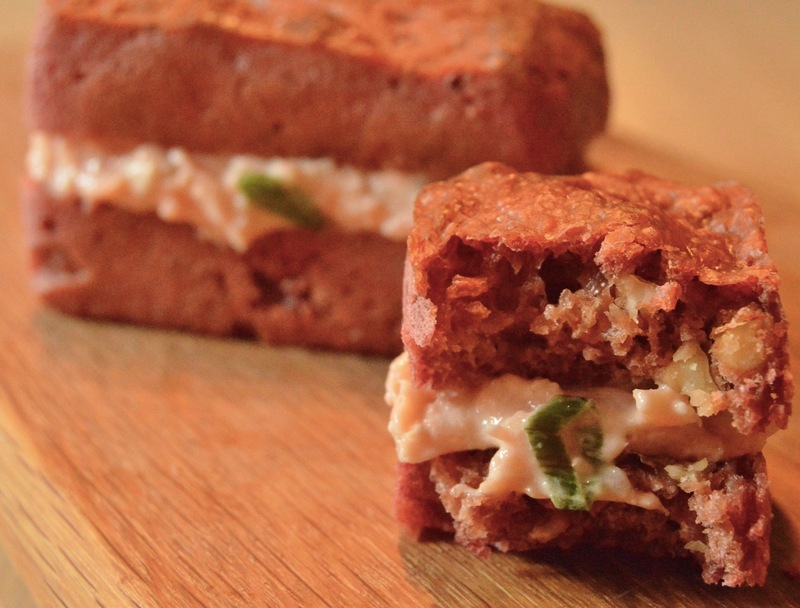 Toasted sandwich fingers… I’ll take ten.. one for each finger!